Reading in French : Why and how ? 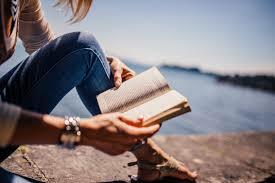 Reading a book or an article in French is a big plus to improve your linguistic skills. You will learn new vocabulary, discover French-speaking cultures by enjoying 100% because you choose your reading. The more in contact with the French language you are, the more your written comprehension will improve. The first articles or books that you’re going to read may be difficult but don’t be discouraged. You can begin by articles or books which are especially written for foreigners who have your linguistic level: A1, A2, B1, B2, C1, C2. Highlight the recurrent words which appear in your reading and look them up in a dictionary to be sure to understand the plot. But don’t use the dictionary for every single word. It will spoil your pleasure. Search for the most important words only. Write the words you find in a notebook to begin a vocabulary list that you will be able to read and memorize. Take into account the context. If you don’t understand a word, being logical can help a lot. Transparent words (words which are similar in English and in French) can help you too. Be wary of false friends. Reading a long book in French may not be the most motivating to begin with that’s why press articles about subjects which are interesting for you can be a solution. The advantage of articles is that they are short but rich and they deal with society. For instance, if you read articles about French society issues, you will find the most interesting vocabulary to interact with native speakers and have interesting conversations. Bilingual books can be a good idea too, but you need to be self-disciplined. Don’t be tempted to read the pages in your native language only ! Specialized magazines or websites such as http://califrenchlife.com/ can provide articles written for foreigners. You will discover the centers of interest of the French-speakers and you will find the most difficult vocabulary explained at the bottom of the article in French or in English. Reading in French can be a real pleasure as long as you choose the right texts for yourself and your needs. It’s important to include this activity in your schedule. Regularity is a strength when you learn a foreign language.